something funny Kevin McCarthy seperates the pink and red lollies and puts them in a jar for Trumpy . Clinton had Monica Trumpy has Kevin !!!! More correctly, it's lice, which lived on humans. So, kids, pay attention when the school nurse tells you how to avoid lice (and especially when she says you have to use the special smelly shampoo!) - you could be patient zero and about to wipe out all life on earth. 'k! i need some more dapperdan dammit! Street tacos on the other hand...I could live entirely off those damn things. My heart would probably thank me too. 'street taco' is like a whore-like epithet, i think... make home-made steak-tacos and live better! 2) douse 'em with a moderate amount of light-sodium soy sauce (unless you -want- extra saltiness, then go for regular soy sauce ;0)... let them rest for at least ten mins, if not overnight. 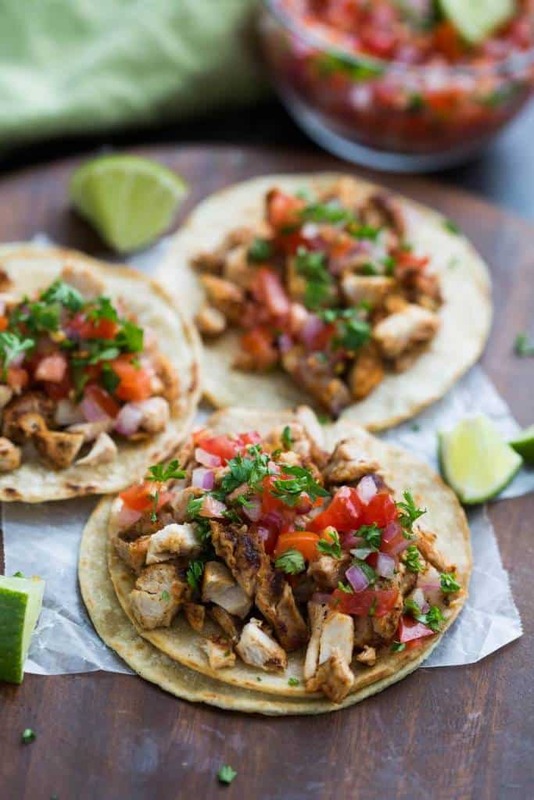 3) skillet-fry them; cut 'em into strips, and make soft-or-hard tacos outta 'em! i haven't eaten taco bell about as long as i haven't eaten jello... which is a looooooooonnng time! join in the tastier, healthier fun! For some reason street food always tastes great. Just don't pay attention to the ingredients, cleanliness of the stand/truck, etc. Last edited by Kolchak357; 01-17-2018 at 02:25 PM. WhiteChocolate , us Aussies are lazy and we have everything in 2 baskets 1. chockies all forms of chocolates , from mars bars to blocks of chocolate to everthing in betwweens 2. lollies that`s everything from lolly pops to boiled lollies and everything in between . Jeff that looks great ,similar to a yiro without the tzatziki sauce !!!! boiled lollies? I need more info on this please. Kolchak , it`s a hard sweet made of boiled sugar . my dad use to bring 3-4 jars home on a Friday night and 2 large bags of chips . we all would sit and watch Bonanza and Zorro while stuffing our faces .good times !!! Sounds like fun times. That's the first I've ever heard the phrase boiled lollies. You crazy koalas. Anybody up in Rochester NY? 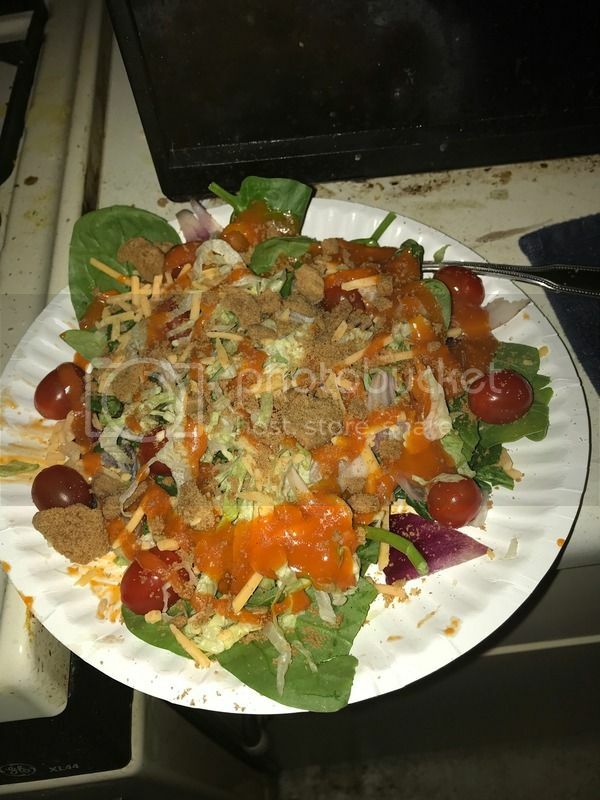 If so, please post a picture of a garbage plate. Saw that name on a menu and had to order one when I was up there. Definitely needs more cheese. I like garic aioli but I dunno how it would fit into a garbage plate. Maybe in the macaroni salad instead of normal mayo, that'd be good. The chili sauce on top is the hot sauce. It's like a hot Coney chili sauce. 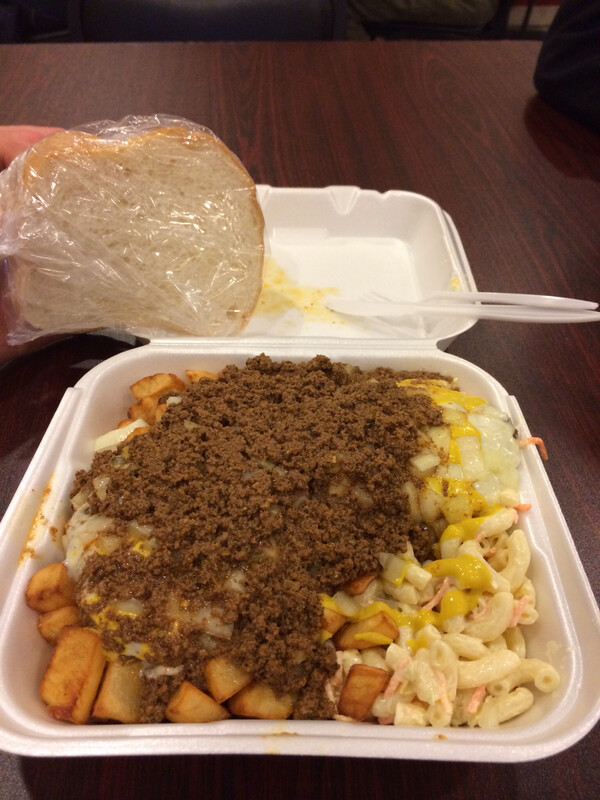 Yep that’s a garbage plate. Hairy, they had hot sauce on the table. Gave me some of the worst heartburn I ever had. Was worth it though. had a laugh today , an 80 year old lady bought a roll at the R.S.L. club , and wanted it cut in half . she took it back and said it was not cut in half . 1 half was 6cm wide the other was 5cm . they offered her a refund , but she declined . they gave her another roll and gave her the honor to cut it in half , bless her !!! there all calling it rollgate at the R.S.L. CLUB . A GOOD LAUGH WAS HAD BY ALL !!!! I love me some Burt Reynolds. When I was a kid that’s who I wanted to grow up to be. Well, him and Dr J. He was in an ok spaghetti Western.